Enjoy autumn colors and clear blue skies as you trace the route of Lewis and Clark, exploring one of America's great waterways along the Columbia and Snake Rivers. I enjoyed our expedition landing craft tour of Palouse Falls. Great small ship. Wonderful food! My 6th Smithsonian trip! My perspective on the world was transformed by this expedition. Breathtaking river views are just one of the highpoints of the Red Lion Hotel on the River - Jantzen Beach. This upscale Portland hotel provides comfortably appointed guest rooms in a rustic setting just outside of the city center. Rooms feature large flat-screen TVs, complimentary Wi-Fi and other modern amenities. Unwind in the hotel’s fully equipped fitness center and relax with a drink before having dinner in the Jantzen Beach Bar & Grill. The hotel room block consists of accommodations with one king bed or two queen beds. Solo travelers will be accommodated in double rooms. 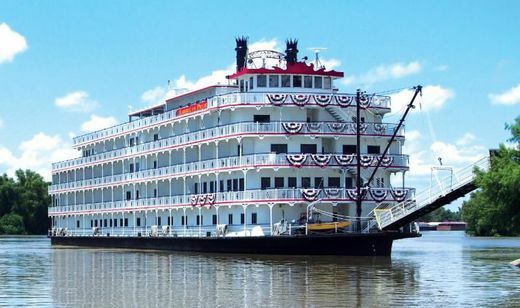 Expectations: River cruise that pulls into a pier for disembarkation via a gangway. Morning and afternoon excursions off the ship, some by way of smaller watercraft, trolley, or motor coach. There will also be guided walks from the pier. Moderate pace. Excursions can be over uneven terrain (e.g. cobblestones, city hills, stairs without handrails, the absence of elevators); some longer walks and extensive walking at museums and historic sites. 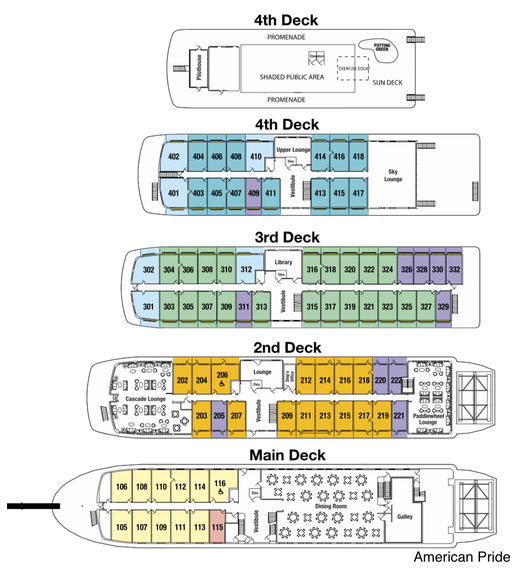 Your ship is designed with state-of-the-art flexibility in navigating rivers. On rare occasions, river cruising is subject to challenges due to unannounced river lock maintenance and/or weather-related increases or decreases in river depth. Extreme conditions may render a portion of a river itinerary unnavigable. You will receive a revised schedule outlining any changes prior to your departure either by regular mail or email. Any additional transportation, hotel accommodations, meals or special events, as a result, changes to the published itinerary will not increase the price of your trip. All ports of call and trip highlights contained in your original itinerary will be included in your revised schedule. Under these extreme circumstances, additional motor coach travel, ship changes and/or hotel nights may be required to ensure participants experience the trip safely and as advertised. 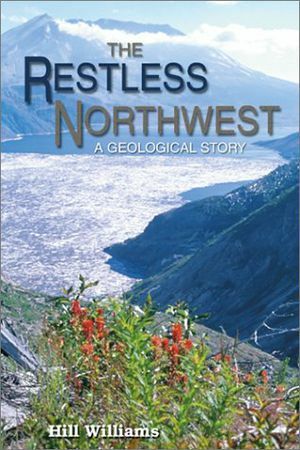 In an easy conversational style, The Restless Northwest provides a brief overview of the remarkable geological processes that have shaped the Pacific Northwest. The narrative also is sprinkled with firsthand accounts of the people involved in recent exciting scientific discoveries. 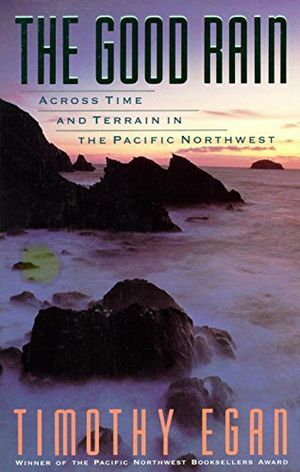 Williams enlivens this story of long-ago geologic events with a variety of fascinating asides, on everything from enormous undersea tubeworms to the Willamette meteorite. On their remarkable journey across the North American continent, Meriwether Lewis and William Clark's "Corps of Discovery" traveled almost 10,000 miles, about 9,000 of them on rivers—the Ohio, Mississippi, Missouri, Jefferson, Beaverhead, Clearwater, Snake, Columbia, Yellowstone—or their associated forks, creeks, and tributaries.With an expert's eye, Verne Huser tells us what it was like to mount and carry out an expedition that was "basically a river trip." From the construction of the boats in 1803 to the negotiation of the last miles home three years later, the explorers were tied inextricably to the river systems that carried them west into uncharted territory and back again. 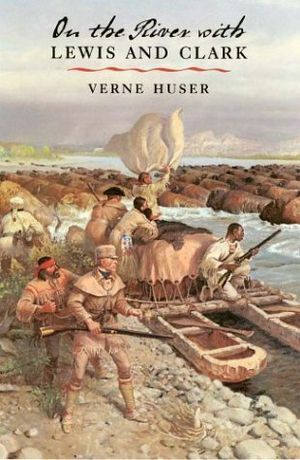 From the Ohio River to the Columbia, they rowed, paddled, pulled, poled, sailed, and portaged their way into history—mapping, collecting, and recording a country's first glimpse of its western wealth.Himself a river man, Huser has canoed, rafted, or cruised much of the expedition's route. 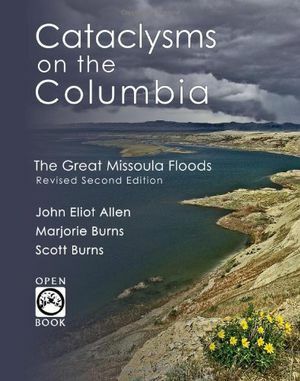 He brings to the famous story his knowledge of the "ways of wind and water," giving readers a rare, first-hand look at the benefits and hazards of river travel as they might have been experienced by the thirty-three explorers—some boatmen, some not—on the river with Lewis and Clark. 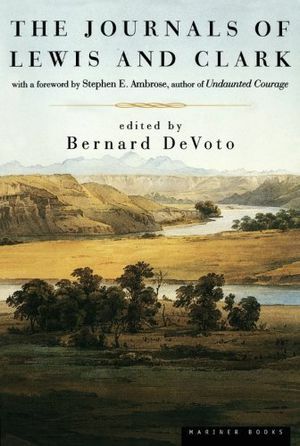 The Journals of Lewis and Clark are "the first report on the West, on the United States over the hill and beyond the sunset, on the province of the American future” (Bernard DeVoto). In 1803, the great expanse of the Louisiana Purchase was an empty canvas. Keenly aware that the course of the nation's destiny lay westward—and that a “Voyage of Discovery” would be necessary to determine the nature of the frontier—President Thomas Jefferson commissioned Meriwether Lewis to lead an expedition from the Missouri River to the northern Pacific coast and back. From 1804 to 1806, accompanied by co-captain William Clark, the Shoshone guide Sacajawea, and thirty-two men, Lewis mapped rivers, traced the principal waterways to the sea, and established the American claim to the territories of Idaho, Washington, and Oregon. Together the captains kept this journal: a richly detailed record of the flora and fauna they sighted, the native tribes they encountered, and the awe-inspiring landscape they traversed, from their base camp near present-day St. Louis to the mouth of the Columbia River, that has become an incomparable contribution to the literature of exploration and the writing of natural history. It's possible to safely see fascinating wildlife—if you know what to look for and where, and if you understand what you see—whether you are far from civilization or right in your own backyard. 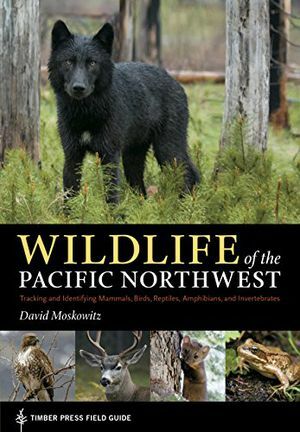 Wildlife of the Pacific Northwest includes illustrated descriptions for more than 180 mammals, birds, reptiles, amphibians, and invertebrates most common in Washington, Oregon, British Columbia, northern California, Idaho, and western Montana. With more than 460 photographs, hundreds of scale drawings, and more than 90 distribution maps. This book belongs in every pack and is a must-have for nature lovers of all ages and skill levels. 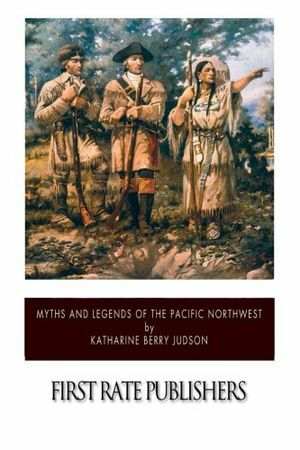 In the many published accounts of the Lewis and Clark expedition, historians have tended to undervalue the explorers encounter with Columbia River country. 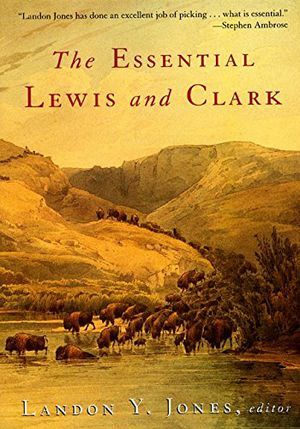 Most narratives emphasize Lewis and Clark s adventures through their journey to the Bitterroot Mountains but have said little about the rest of their travels west of there.River of Promise fills a significant gap in our understanding of Lewis and Clark s legendary expedition. 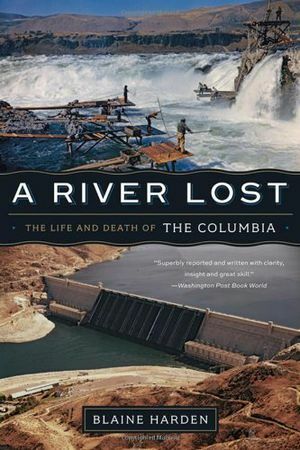 Historian David L. Nicandri shifts the focus to an essential goal of the explorers: to discover the headwaters of the Columbia and a water route to the Pacific Ocean. He also restores William Clark in his role as the primary geographic problem-solver of the partnership. Most historians assume that Meriwether Lewis was a more distinguished scientist than Clark because of his formal training in Philadelphia and superior writing skills. 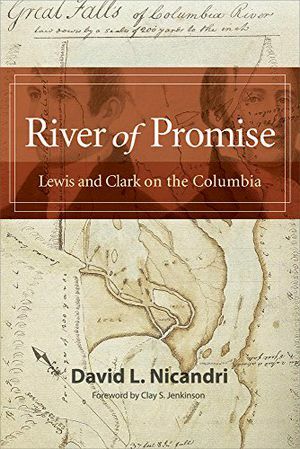 Here we see Clark as Lewis s equal as scientific geographer, not merely the practical manager of boats and personnel.Nicandri places the legend of Sacagawea in clearer perspective by focusing instead on the contributions of often-overlooked Indian leaders in Columbia River country. He also offers many points of comparison to other explorers and a provocative analysis of Lewis s suicide in 1809, arguing that it was not a sudden event but fruit of a seed planted much earlier, quite possibly in Columbia country. 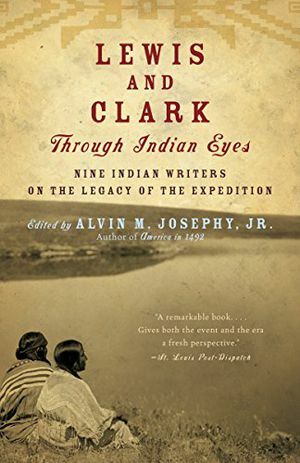 By: Alvin M. Josephy Jr.
At the heart of this landmark collection of essays rests a single question: What impact, good or bad, immediate or long-range, did Lewis and Clark’s journey have on the Indians whose homelands they traversed? 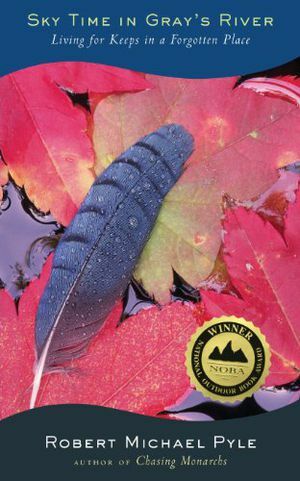 The nine writers in this volume each provide their own unique answers; from Pulitzer prize-winner N. Scott Momaday, who offers a haunting essay evoking the voices of the past; to Debra Magpie Earling’s illumination of her ancestral family, their survival, and the magic they use to this day; to Mark N. Trahant’s attempt to trace his own blood back to Clark himself; and Roberta Conner’s comparisons of the explorer’s journals with the accounts of the expedition passed down to her. Incisive and compelling, these essays shed new light on our understanding of this landmark journey into the American West. During the depression days of the early 1930s the Jordan family - Len Jordan (later governor of Idaho and a United States senator), his wife Grace, and their three small children - moved to an Idaho sheep ranch in the Snake River gorge just below Hell's Canyon, deepest scratch on the face of North America. 'Cut off from the world for months at a time, the Jordans became virtually self-sufficient. Short of cash but long on courage, they raised and preserved their food, made their own soap, and educated their children' - Sterling North, "New York World-Telegram". 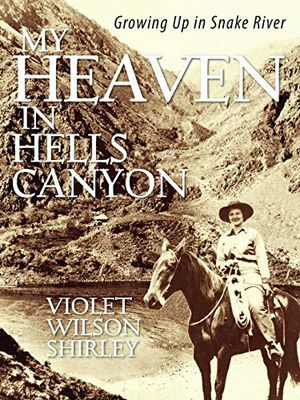 '"Home Below Hell's Canyon" is valuable because it writes a little-known way of life into the national chronicle. We are put in touch with the kind of people who set the country on its feet and in the generations since have kept it there...Primarily it is a book of courage and effort tempered by the warmth of those who trust in goodness and practice it' - "Christian Science Monitor". 'The thrilling story of a modern pioneer family...An intensely human account filled with fun, courage and rich family life' - "Seattle Post Intelligencer". From the preface: "IN the days of the first grandfather, when the earth was young, the Indian, armed only with stone knife, stone hatchet, and bows and arrows, found himself confronted with the work of Some One far greater and stronger than himself. This Power, or Powers, for there came to be many of them, had uplifted snowy mountain peaks, had cut deep canons through the solid rock, had carved out mountain passes, and had blocked the passage of mighty rivers by great rocks and bowlders. These Powers were strong and brutal. They had enormous strength and men of only human size were their prey, as helpless as " flybug " under the heel of the Indian. Tatoosh, the Thunder Bird who lived in the sky, was one of these Powers. He shook the mountains with the flapping, of his wings. The flashing of his eye was the lightning. He caught great whales instead of salmon for food. Only by crumbling a rock into powder so small that he could not even see it, could he secure a piece small enough for the Indian to use as a salmon spear. Because Tatoosh is so terrible and the enemy of red men, his picture is painted and carved on their houses, their canoes, and canoe paddles, indeed everywhere, to soften his anger. Often Tatoosh, as shown in the photograph of the Chilcat blanket, is represented by a single eye —the terrible eye that flashes fire. There is no beneficent deity among these Indians of the Northwest. Sahale does not represent the same idea as that of Manitou, the Great Spirit, among the eastern Indians. Yet Tyhee Sahale, along the Columbia River, and Old Man Above, among the California Indians, represent the clearest idea of a single governing spirit living in the sky. But they are not sure of his friendship. Among most of the tribes, on the other hand, there is an utter lack of any friendly deity, as among the Blackfeet, of Montana, with whom Old Man is simply a trickster, half human, who nearly always gets the worst of it in his encounters with Coyote." Trapped between 1950s' American culture and the ancestral voices that haunt him, a 31-year-old Nez Perce man faces a choice between self-destruction or burning a rural Idaho town to the ground. A shaman, a pawnbroker, and a lover help Isaac Moses find new truths during his 12-month journey, while the lives of four generations of his ancestors provide an historical context that blends fact and fiction in an emotional and ultimately triumphant tale. In the late 18th century, the Nez Perce knew that strangers from the east would come among them. Once these strangers arrived, the elders prophesied, Nez Perce hearts would ache for five generations. In Linwood Laughy's remarkable novel, Isaac Moses, former high school basketball star, embodies that fifth generation. Encountering small-town life in the 1950s, Isaac Moses is "a witness at the jagged edge of two Americas" just as his great, great, great grandfather had been as an interpreter with the Lewis and Clark Expedition. 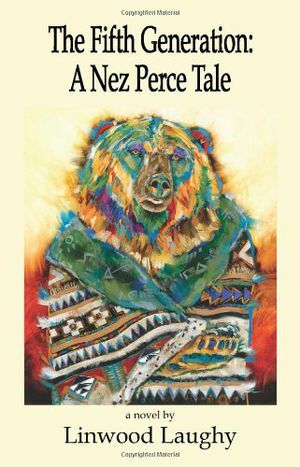 The Fifth Generation: A Nez Perce Tale is Isaac's story as well as the story of the American West --with its layers peeled back. The story is raw and real, begging of hope, finding eventual triumph in the lives of an individual and of a people. Author Linwood Laughy knows his history well and has crafted an exquisite tale that, like the best of history, tells us from where we came and creates a greater understanding of where we are. His novel will change forever the way you view the history of the American West. 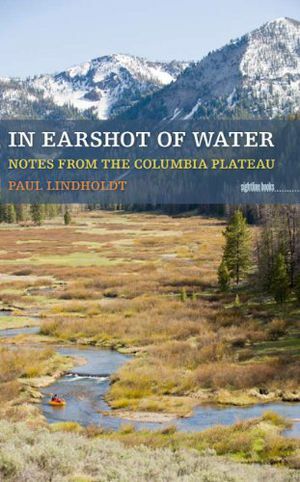 Whether the subject is the plants that grow there, the animals that live there, the rivers that run there, or the people he has known there, Paul Lindholdt’s In Earshot of Water illuminates the Pacific Northwest in vivid detail. 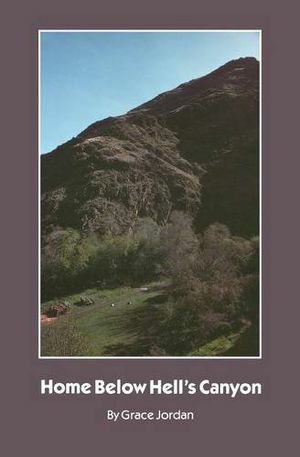 Lindholdt writes with the precision of a naturalist, the critical eye of an ecologist, the affection of an apologist, and the self-revelation and self-awareness of a personal essayist in the manner of Annie Dillard, Loren Eiseley, Derrick Jensen, John McPhee, Robert Michael Pyle, and Kathleen Dean Moore. Exploring both the literal and literary sense of place, with particular emphasis on environmental issues and politics in the far Northwest, Lindholdt weds passages from the journals of Lewis and Clark, the log of Captain James Cook, the novelized memoir of Theodore Winthrop, and Bureau of Reclamation records growing from the paintings that the agency commissioned to publicize its dams in the 1960s and 1970s, to tell ecological and personal histories of the region he knows and loves. In Lindholdt’s beautiful prose, America’s environmental legacies—those inherited from his blood relatives as well as those from the influences of mass culture—and illuminations of the hazards of neglecting nature’s warning signs blur and merge and reemerge in new forms. Themes of fathers and sons layer the book, as well—the narrator as father and as son—interwoven with a call to responsible social activism with appeals to reason and emotion. Like water itself, In Earshot of Water cascades across boundaries and blends genres, at once learned and literary. Sky Time in Gray’s River is an elegant meditation on life in the rural Northwest. Although Robert Michael Pyle is a lepidopterist and southwestern Washington is notable for its lack of butterflies, something about the village of Gray’s River spoke to him on a visit thirty years ago. Ever since then he has lived in the village, one of the first to be established near the mouth of the Columbia River and only tenuously connected to the world of the twenty-first century. Sky Time brings Gray’s River to life by compressing those thirty years into twelve chapters, following the lives of the people, plants, and animals month by month through the seasons. Through his story of how the village has changed his life, Pyle illustrates how a special place can transform anyone lucky enough to find it. He shows that you don’t have to travel far to see something new every day — if you know how to look. 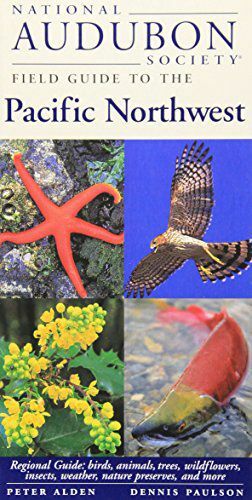 The most comprehensive field guide available to the Pacific Northwest--a portable, essential companion for visitors and residents alike--from the go-to reference source for over 18 million nature lovers.This compact volume contains:An easy-to-use field guide for identifying 1,000 of the region's wildflowers, trees, mushrooms, mosses, fishes, amphibians, reptiles, birds, butterflies, mammals, and much more;A complete overview of the Pacific Northwest's natural history, covering geology, wildlife habitats, ecology, fossils, rocks and minerals, clouds and weather patterns and night sky;An extensive sampling of the area's best parks, preserves, beaches, forests, islands, and wildlife sanctuaries, with detailed descriptions and visitor information for 50 sites and notes on dozens of others.The guide is packed with visual information -- the 1,500 full-color images include more than 1,300 photographs, 14 maps, and 16 night-sky charts, as well as 150 drawings explaining everything from geological processes to the basic features of different plants and animals. 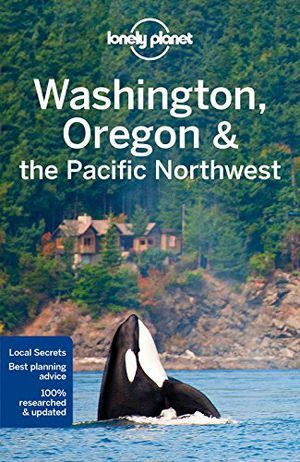 For everyone who lives or spends time in Washington or Oregon, there can be no finer guide to the area's natural surroundings than the National Audubon Society Field Guide to the Pacific Northwest. The Smithsonian Institution is America's largest, most important, and most beloved repository for the objects that define our common heritage. Now Under Secretary for Art, History, and Culture Richard Kurin, aided by a team of top Smithsonian curators and scholars, has assembled a literary exhibition of 101 objects from across the Smithsonian's museums that together offer a marvelous new perspective on the history of the United States.Ranging from the earliest years of the pre-Columbian continent to the digital age, and from the American Revolution to Vietnam, each entry pairs the fascinating history surrounding each object with the story of its creation or discovery and the place it has come to occupy in our national memory. Kurin sheds remarkable new light on objects we think we know well, from Lincoln's hat to Dorothy's ruby slippers and Julia Child's kitchen, including the often astonishing tales of how each made its way into the collections of the Smithsonian. Other objects will be eye-opening new discoveries for many, but no less evocative of the most poignant and important moments of the American experience. Some objects, such as Harriet Tubman's hymnal, Sitting Bull's ledger, Cesar Chavez's union jacket, and the Enola Gay bomber, tell difficult stories from the nation's history, and inspire controversies when exhibited at the Smithsonian. Others, from George Washington's sword to the space shuttle Discovery, celebrate the richness and vitality of the American spirit. 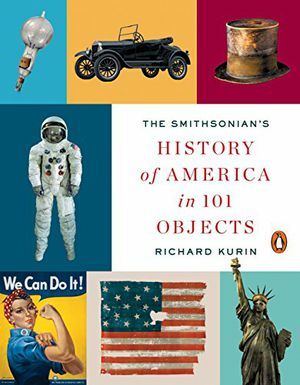 In Kurin's hands, each object comes to vivid life, providing a tactile connection to American history.Beautifully designed and illustrated with color photographs throughout, The Smithsonian's History of America in 101 Objects is a rich and fascinating journey through America's collective memory, and a beautiful object in its own right. Gratuities for tour staff, ship porters for luggage handling, local guides and drivers, waiters and maîtres d’ at group meals as indicated in the itinerary. Gratuities for ships staff, crew and airport porters. Any registration received within 120 days of departure is considered “on-request” and is subject to specific confirmation. Some tours are more restrictive. Payment in full must be made immediately by credit card, or by check sent by overnight mail to the tour operator before confirmation is possible. Cancellations made between 120 days and 91days before departure: $1,000 Retained.